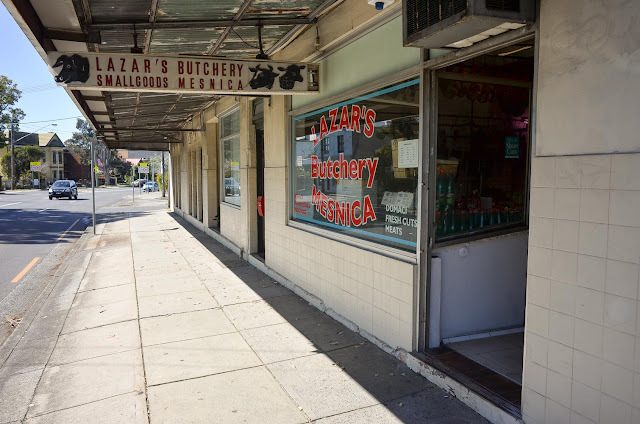 One of Sydney's many overlooked food treasures is Lazar's Butchery on Stanmore Road, Petersham- think Hungarian cured meats and old school jollies. We forgot to ask how many decades this lovely old butcher shop has been here. We first recall visiting around 2004 after an old Hungarian fella taught Shawn about the joys of Hungarian sausage - eaten caveman style straight off the stick, beer in the other hand. We don't know what it is called so we ask for a sausage to have with beer, and mime ripping the top of a sausage off with our teeth, with sound effects. Works every time. We haven't been in for a few years, we always intend to pop in for some speck and a sausage but somehow we never remember which is plain silly, Lazar's Butchery is out of this world. The counter and work area off to the side are a wondrous cavern of preserved meat, and the boss uncle has this smiley infectious enthusiasm for what he does and is worth visiting alone for. 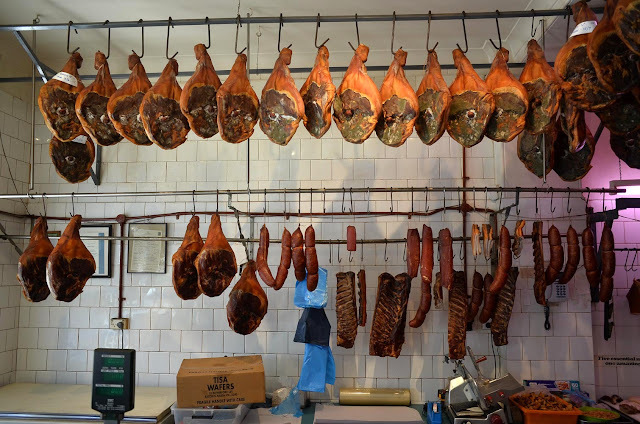 The ceiling and walls are lined with what we thought looked like dried legs of ham, the boss dude tells us it's prosciutto. These are being cured and will be ready for Christmas. 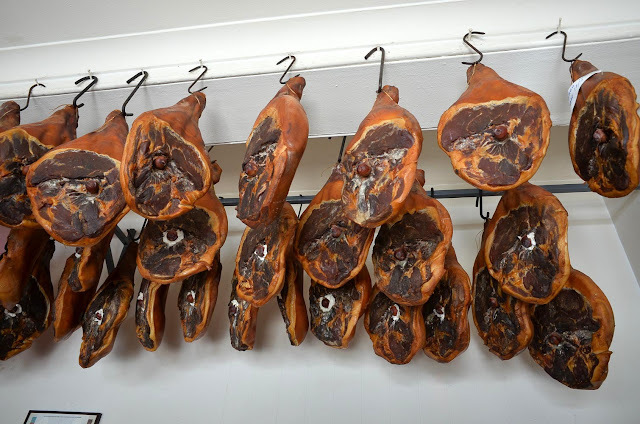 A whole prosciutto is about $200, which seems a lot until you think about the care that goes into it and how far this stuff would stretch, we could easily go a year on one of these babies. We considered buying one but we just don't have the room in our tiny flat. The boss dude says if we come in before Christmas he will be selling the prosciutto in small hunks - we're so there. We buy salami, a few slices of rich brawn, which we are especially excited about after ogling the French version on a recent trip to New Caledonia, and some speck, which is like uber bacon for cooking. The brawn is amazing - the boss dude knife cuts it into thickish slices. 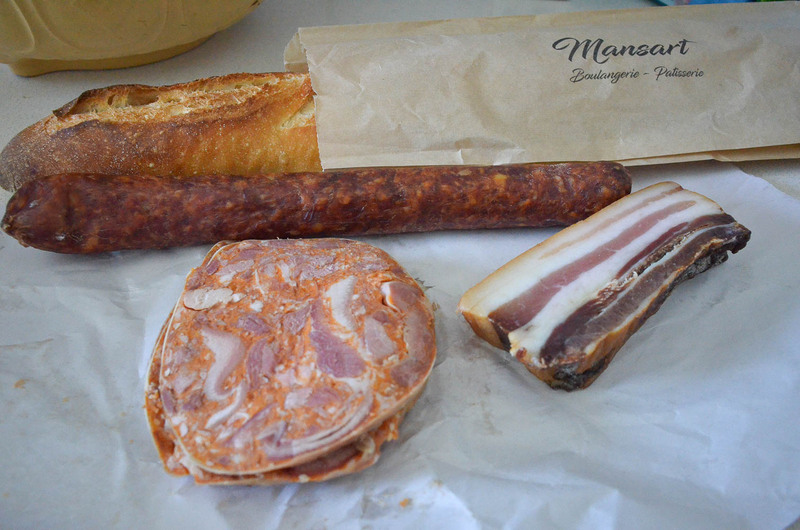 It is rich, moist, soft and super meaty - it works perfectly on top fresh French baguette, which we chanced upon in the new French bakery in Petersham - Mansart. 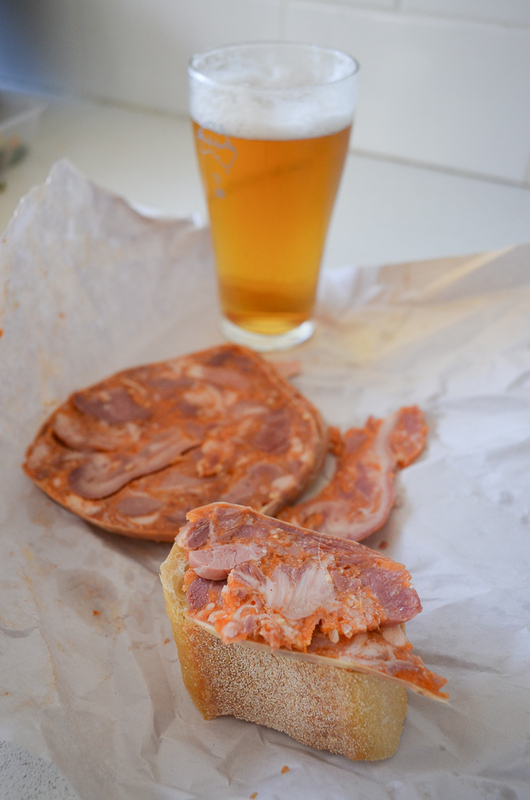 This is a seriously luscious lunch. 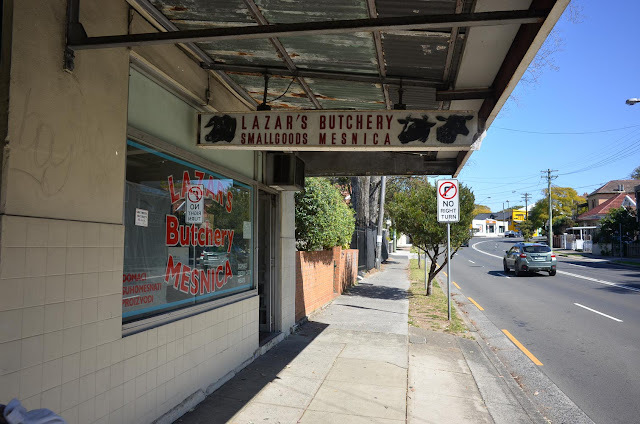 Lazar's Butchery is at 262 Stanmore Road, Petersham. Phone 9560 6680. Friendface. This is another one of those old school places that could be here for another three decades or another three weeks, depending on the health of the owners and the interest of the next generation, so we recommend going now, because you just never know. 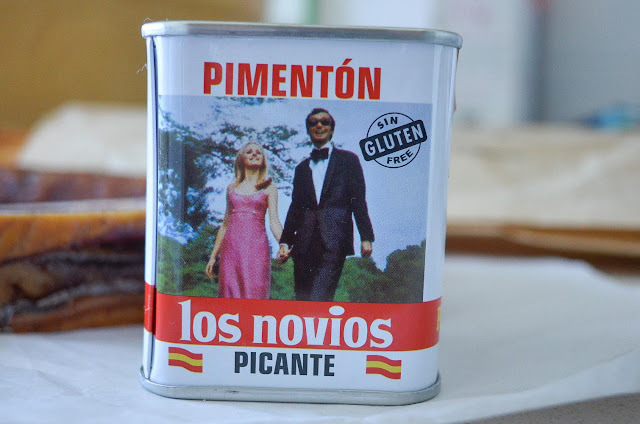 Another little treasure from our trip to Petersham - it's sin free! 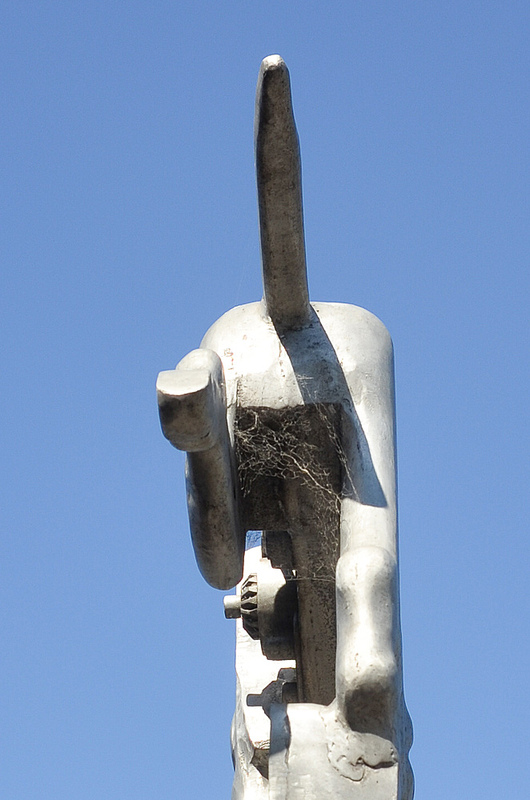 The dog statue on the corner of Stanmore and Enmore Roads needs his bottom de-cobwebbed, any volunteers?